In this edition of Graphic Intelligence, we show the top state destinations for Canadian-born working-age newcomers (arrived 5 years or less) to the US in 2006, 2011, and 2016. Migration of Canadian-born, working-age individuals to the United States has trended upward over the past 30 years, according to the American Community Survey (ACS). The majority of these Canadians hold a university degree, particularly in biology, engineering, computer science, or business and nursing. So, what are the top US destinations for this sought-after talent? 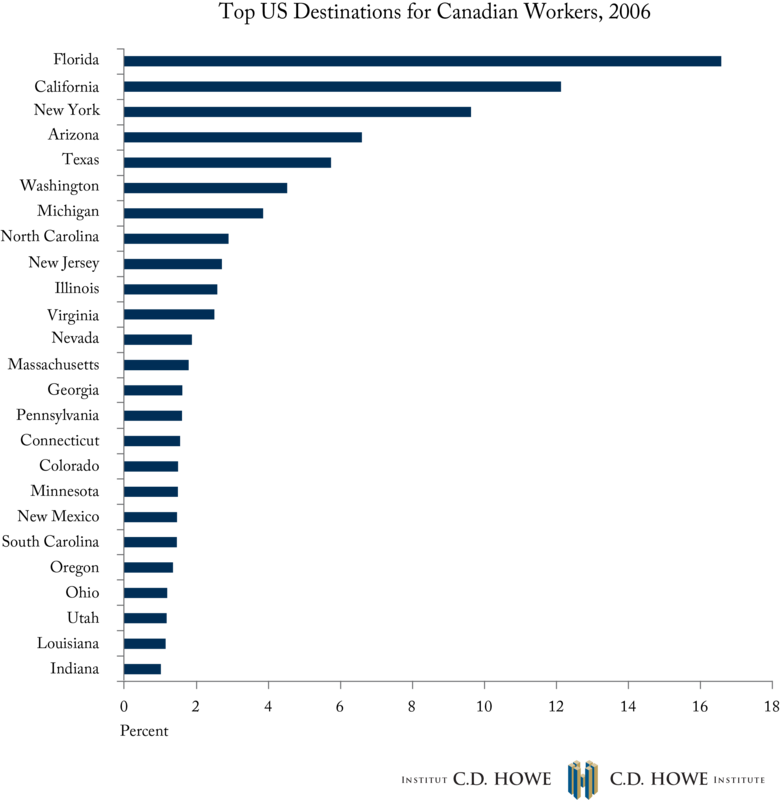 California, Florida, New York, Arizona, Washington, and Texas have been the most popular picks for Canadians moving south.In total, the share of Canadian-born working-age newcomers who chose to reside in these states has increased from 55 percent in 2006 to 60 percent in 2016. To learn more about the brain drain of Canadian workers and their top destinations in the US, read our Intelligence Memo “The Brain Drain Continues; Let`s Stop It” by Parisa Mahboubi and Abby Sullivan.